Congratulations for reaching the ultimate level of our push up challenge, one arm push ups. This was the goal from the start of the series, the last exercise before you can call yourself a push up pro. Enter here after overcoming the final level of the One Arm Push Ups with Support and challenge yourself with the classic One Arm Push Ups. Start by getting down on your knees and placing one hand on the floor. Now base yourself on the toes and strengthen your legs. Keep a straight line from the legs and back to the neck. Make sure you properly distribute the weight of your body by placing the operating arm just below the chest, not to the side or in front of you. To stabilize the position further, put your free hand behind your back. This is the starting position. Stop for a less than a second and then press up towards the starting position, as you breathe out. Repeat until you reach your goal. 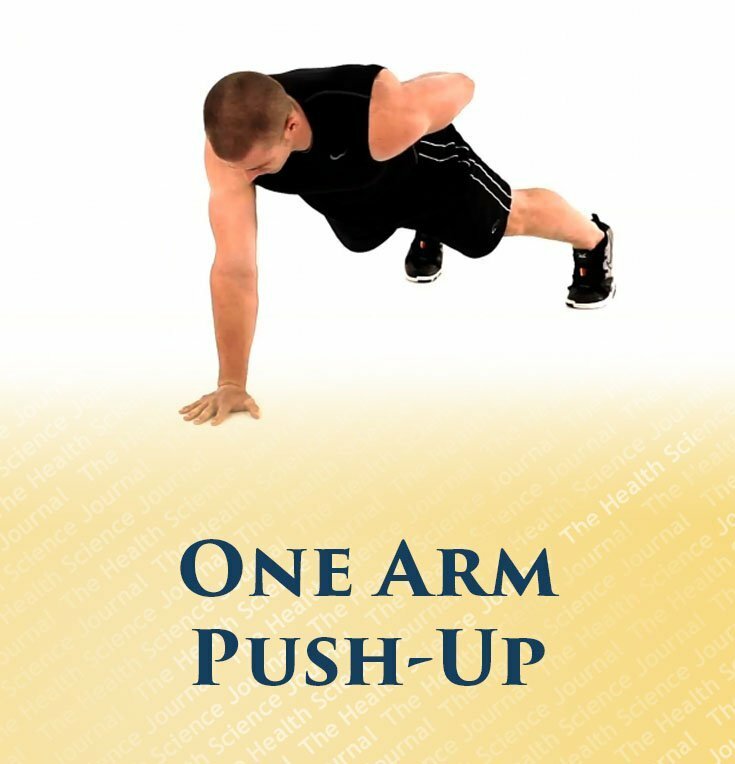 When practiced with perfect technique, one arm push ups are the golden standard of upper body strength and a good indicator of sturdy elbows and powerful chest. Many individuals on the Internet claim to have mastered one arm push ups, only to expose bad technique: legs arranged too wide, the hips sticking out, a twisted body position and dangerously panting and wagging from side to side on feeble hands. A true master of one arm push ups is a rarity. Make sure that you properly develop your push ups by following our 10 levels challenge and become a member of the small club of one arm push ups pros. If you perfectly mastered the level 9 one arm push ups with support, this final exercise should not prove difficult. Nevertheless, if you are experiencing difficulties with overcoming the first level of 5 one arm push ups, return to the 9th level and make sure you can do the one arm push ups with support in at least 2 sets of 20 reps for each hand, to hone your technique. If you do this but the problem remains, increase to 30 reps on the level 9 exercise and then try again to perform the one arm push ups of level 10.